In August the DC metropolitan area creaks to a halt as lazy days arrive for workaholic Washingtonians. Many wend their way to the beach or to the mountains. Some take a couple of days for a staycation. So peruse an admittedly incomplete list of beloved “beach books.” While I find it enjoyable to read a trashy new bestseller stained with my suntan-lotioned fingerprints, I also have vacation-ready favorites that vigorously promote armchair travel, great writing, and fun, no matter where you happen to unwind. Put down your smart phones and pick up a hard copy or a Kindle version. I’ll leave you to it! 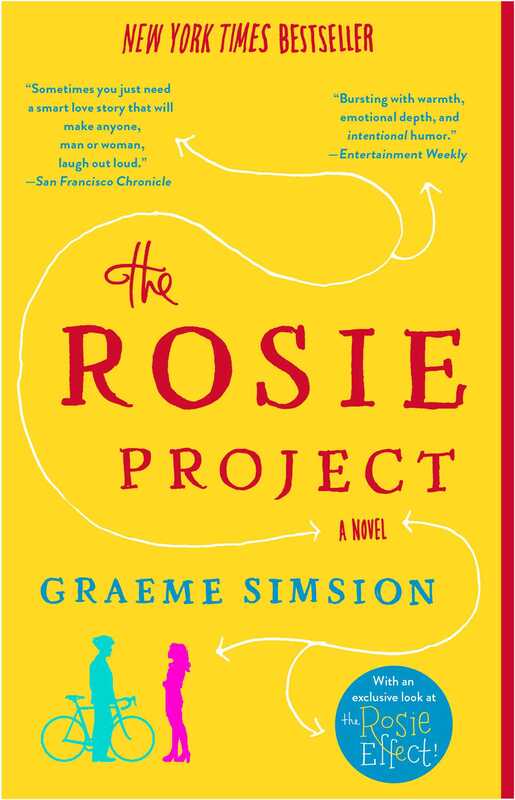 The Rosie Project by Graeme Simsion. I just finished re-reading this recent romantic comic novel about a socially unskilled science professor who embarks on a Wife Project, in which he endeavors to find a suitable spouse with the help of professor friends and a carefully weighted academic questionnaire. Although there are some typical rom-com elements to the story, it is unusually original, charming, and hilarious. I hope it becomes a classic comedy with great actors who could carry the story. Don’t miss it. Red Sparrow and Palace of Thieves by Jason Matthews. Matthews, a former CIA station chief, has written two electrifying spy thrillers, revealing current spy tradecraft that will enthrall readers. His books feature a beautiful, ballet-trained Russian intelligence officer named Dominika Egorova, who must navigate the post-Soviet intelligence network in Vladimir Putin’s Russia. Forced to become a “Sparrow,” a woman trained to seduce targets and flip them over to Russian intelligence, she struggles to survive among a world of post-Soviet bureaucrats. When she is assigned to seduce Nathaniel Nash, a first-tour CIA officer who is managing his own mole in Russian intelligence, they become involved as she finds herself disillusioned with her country’s goals and modus operandi. Particularly relevant in the current political climate, these novels also offer a compelling view into current Russian intelligence gathering. I’m looking forward to the third book in the series, The Kremlin’s Candidate, which will be coming out in 2018. The movie Red Sparrow, starring Jennifer Lawrence as Egorova, will appear next year. 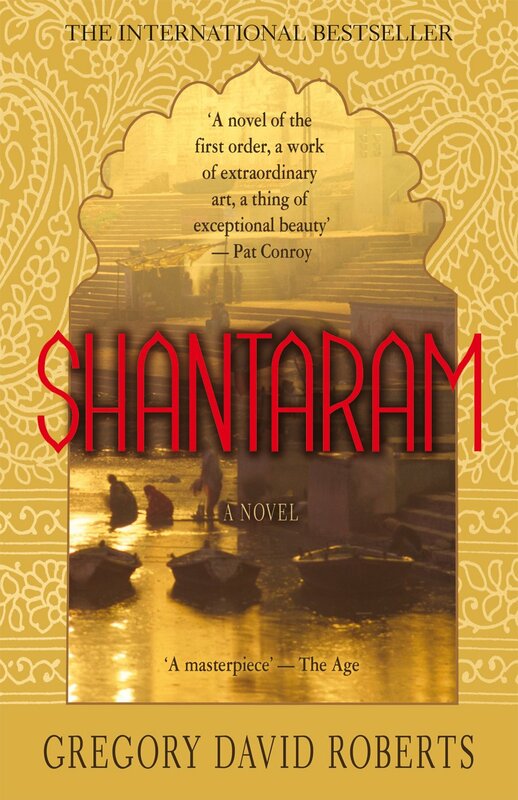 Shantaram by Gregory David Roberts. Roberts’ roman à clef is a fascinating tale based on his own experience as a former heroin addict, poet, and robber. He escapes an Australian prison to move to Bombay, where he becomes a fixture in the colorful demi-monde. After starting a medical clinic for slum-dwellers, he becomes a smuggler, counterfeiter, and gunrunner who ends up in Afghanistan fighting alongside the mujahedeen. Roberts writes with heart and compassion about love, sorrow, and the bright lights of his sprawling, pulsing city. With a brilliant cast of characters and a sweeping panorama of Bombay in the 1970s and 1980s, this novel is hard to let go. 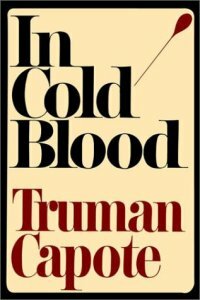 In Cold Blood by Truman Capote. Capote’s 1966 classic is one of the bestselling and best-written true crime novels of all time. A pioneer in the field of creative nonfiction, Capote’s work is a story of mid-century America and the tensions between solid hardworking communities and America’s drifter underclass, damaged and dangerous. After seeing a small article in the New York Times about the murder of the Clutters, a respected family in Holcomb, Kansas, Capote moved there to immerse himself in the solving of the crime. When the murderers were captured he became close with them to report his story fully. Capote became a town fixture until he finished the book, interviewing and becoming friends with police and other residents until the killers were hung. Then he finished his masterpiece and blockbuster best-seller, the writing of which affected him psychologically for the rest of his life. Carefully and beautifully penned, it moves as fast as a lonesome train speeding its way through the Midwest. This hilarious story features Joey, who floats to shore on a random bale of Jamaican pot; her corrupt husband Chaz, a marine biologist who doesn’t know which way the Gulf Stream runs; Red Hammernut, a redneck agribusiness owner who harries migrant laborers while dumping fertilizer into the Everglades; and a former cop and loner named Mich Stranahan who lives in an island off the coast near Miami. 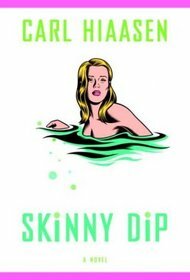 Hiaasen’s bizarre characters add great humor to a tale based on his own experience reporting on those trying to destroy ecology in the Everglades and Florida in general. I keep giving away copies of this book to people who generally don’t read. They tend to finish it quickly. 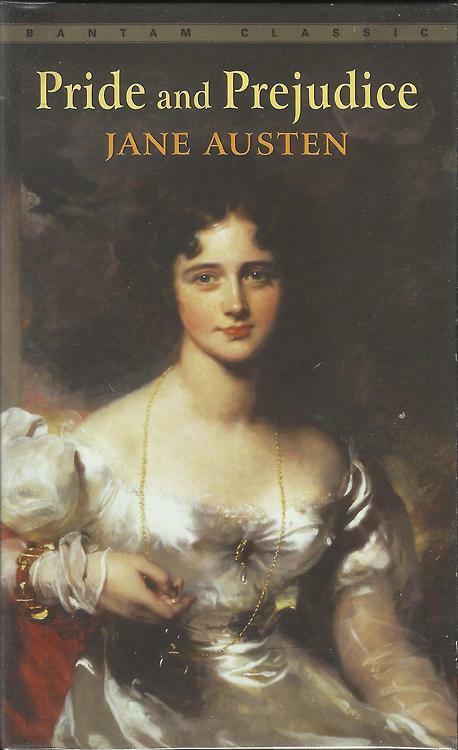 Pride and Prejudice by Jane Austen. You may want to avoid reading ponderous classics on vacation. Well, this is not one of them. If you read it for school years ago, give it a dusting and another go. This pointed comedy of manners for adults was written over 200 years ago, but it remains as fresh, satirical, and accurate regarding human nature as ever. You can also download this novel on your Kindle for free. 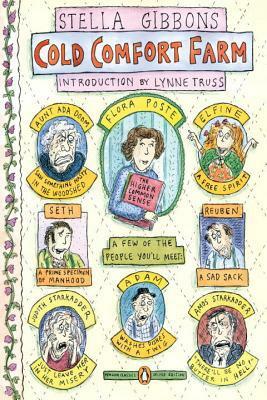 Cold Comfort Farm by Stella Gibbons. For PBS viewers who enjoy wry, tongue-in-cheek English television series, this book is a rare comic treat. English majors who struggled through purple-prose modernists like D.H. Lawrence and other over-the-top authors who romanticized rural life as haunted with characters destined for disaster will enjoy the adventures of Flora Poste. A no-nonsense twenty-year-old orphan possessed of panache and all skills except that of making her own living, she decides to visit distant relatives at Cold Comfort Farm in the fictional village of Howling, Sussex. Her modern outlook and presence creates a stir among the eccentrics there, as she delves in to organize their lives and sweep away their pretensions as doomed figures. A 1995 movie adaptation starring Kate Beckinsale is just as amusing, although I would still recommend reading the book before watching the movie. Both made me laugh out loud. The Inimitable Jeeves and Carry On, Jeeves by P.G. Wodehouse. I’ll end in a similar British vein with these wonderful short stories. While they have been filmed often, the original written stories are so much better than any televised version: dry, witty, and very amusing. 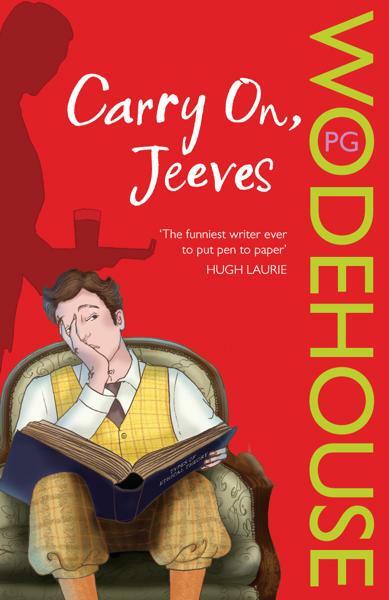 No one parodied early twentieth-century foppish upper-class culture like Wodehouse, with brilliant butler Jeeves saving the dim-witted, good-natured layabout Bertie Wooster from scrapes on regular occasions. While the Jeeves books can be somewhat long, these short stories are very enjoyable to peruse in bed or by the pool one by one. Happy summer reading!